Every spring I get the gardening fever early. However, we are lucky enough to have a greenhouse and so we can “garden” all winter. This year, we packed the greenhouse with all sorts of cacti and succulents. We transferred them all from the patio so they could survive the winter. This process took a lot of trips back and forth across the yard. I became a cactus fiend about ten years ago. 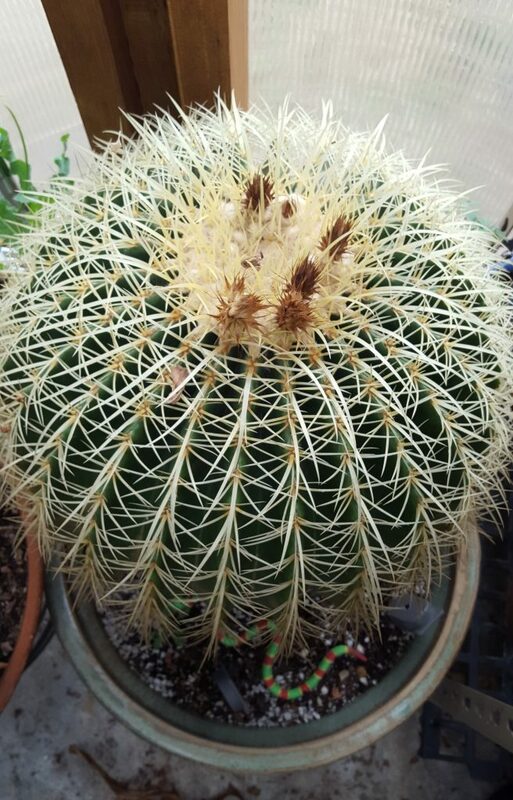 Mom drove in to visit wagging a lot of cacti that she was given at a garage sale. Some of the specimens she brought us were rare and HUGE. We still have a lot of these original plants and they are the ones we struggle with every fall to bring in because of their girth and weight. I love these plants because (a) they’re difficult to kill (but not impossible); (b) most are easy to propagate; (c) some have ridiculously beautiful blooms; (d) they’re just cool. During the summer, you can leave for extended trips without worrying if your plants will be alive when you return. 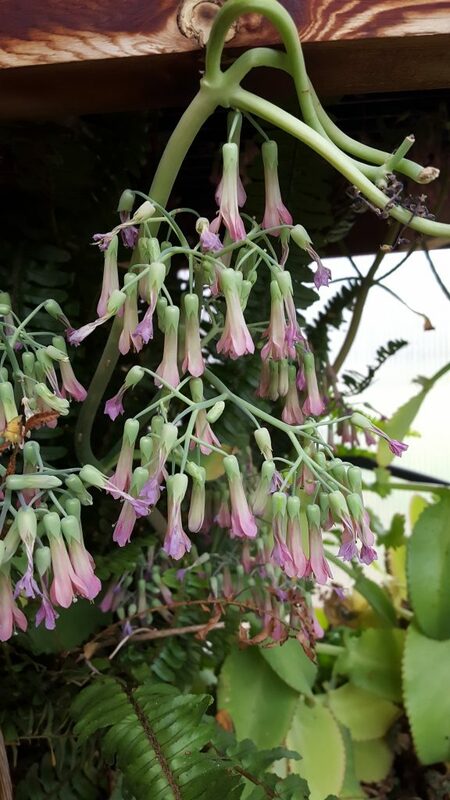 I am trying to keep track of what I have and when they bloom which led me to research family and genus names, origins, etc. Sorry ’bout another gardening post, but I this helps me keep track (and brag a bit). Buddha Belly is named for it’s bulbous trunk (which will become more so as it ages). It typically has gorgeous, leathery leaves but our specimen recently “popped.” We bagged the seed pod because I had read that it will literally explode. We harvested one seed and gifted it to the MiL. She has a unbelievably green thumb and I know she will get one going. This is one that mom was given. I estimate that it is around twenty years old because this was the first year that it bloomed. It is a monster to move in and out every season. 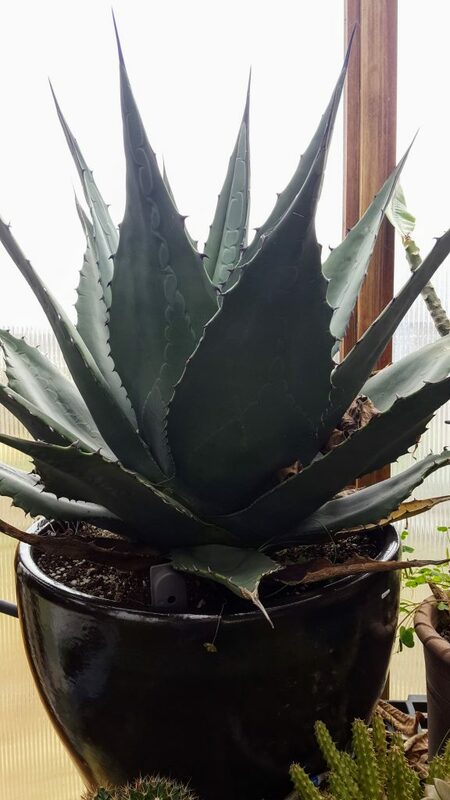 Another monster (and potentially dangerous) move-in is this agave. I have puncture wounds from this specimen. We bought this plant in a quart-sized pot in Austin in 2011. It has grown. It is the one that I most worry about when The Hubs has to move it around. It is about time to invest in a plant dolly. I’m not sure this is a “prized” plant because it is soooo prolific. But, I had never seen it bloom before this year and I actually almost missed the show. The plant is shoved back under a shelf in the greenhouse and I just recently spotted it when I was moving plants around. I love the color. I hope to post some more, specifically to help me catalog what I have. It’s an addictive habit. Of course we bought more when we recently found a treasure trove of cacti and succulents at a small shop in Amarillo. I want to definitely post about this spot (and our entire trip) soon. Lucky you having the green house! This weekend the weather is going to get better, now still very cloudy, windy and rainy…typical April weather, still, unseasonably cold. I love succulents and that 20-year-old cacti looks pretty cool! 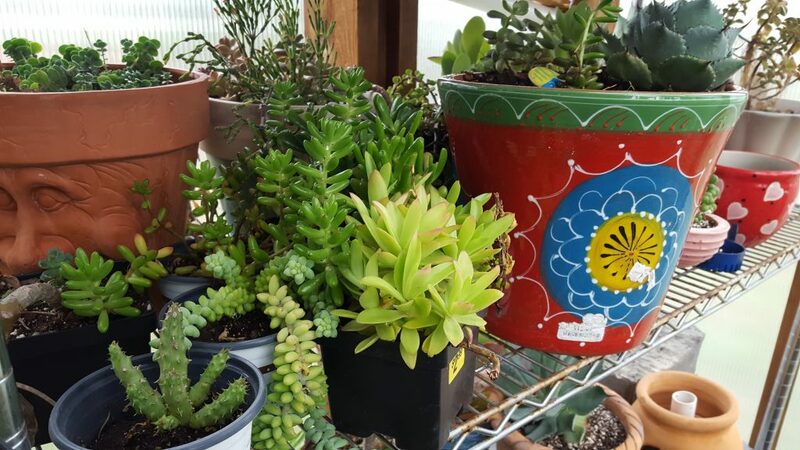 The best thing about a green house is on a cold and windy day, you can go in and get totally warm and happy! 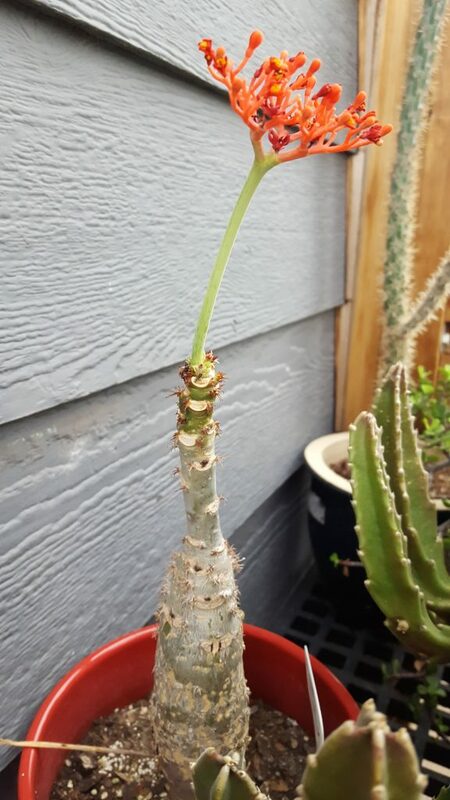 My one little cactus seems to survive no matter what I do. I water it with a few ice cubes around once a week. I can’t imagine owning such big specimens as yours — I’ve seen them only in a public display at a local conservatory. I have definitely killed cacti in the past. They thrive on neglect and I think I smothered them with too much love. Beautiful. I brought a fence post cactus and beehive cactus back from Tucson. Anxious to learn more about these. When they get big you will get them. Your plants are great! I love cactus and the agave is great, loved seeing them in Aruba! My 4-year-old Christmas cactus just died, have no reason why. It had beautiful flowers at Christmas and Easter both. You definitely have a green thumb!